Although this week’s article is not about Biblical numbers as such, certain numbers bear a great deal of significance in Scripture. Numbers like: Three, Four, Twelve, Forty, and above all—Seven. In one of the more fascinating, but also enigmatic passages of Scripture, we find the number One Hundred Forty-Four Thousand. Many students of the Bible may immediately recognize this as the number of Tribulation Saints—among what will undoubtedly be millions— chosen separately by God to receive his special seal (of approval and service) during the Great Tribulation. What/who is a Tribulation Saint? Do we even find that term in Scripture? Quick answer: No, we do not. Rather it is a logical juxtaposition and combination of the two terms, Saint and (Post-Rapture) Tribulation which we do find in the Bible. The “Great Tribulation” (Revelation 7:14) is derived from the seven-year period of time based on a treaty orchestrated by the Antichrist with Israel, found in Daniel Chapter 9. Saint is a frequently used description in the New Testament for all believers who have been redeemed by Messiah Jesus as a result of personally believing and receiving him as Lord and Savior. They are true Christians (Christ ones), not in name only. A Biblical saint is NOT someone who has been canonized by the Roman Catholic Church. 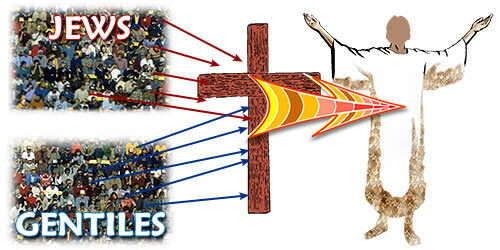 For more details on this subject please refer to Eye of Prophecy article entitled, What is a Saint? Posted 10-11-14. Those of us who truly care about the eternal destiny of our family, friends, and people the world over, including salvation of non-Messianic Jews, have prayed for and/or cautioned others that, after we die, there is no second chance to receive God’s eternal pardon for our sins if we have not accepted God’s Only Son, Messiah Jesus as the substitutionary sacrifice for the penalty of those sins. And sometimes we have said or implied imprecisely that it is also too late for unbelievers after the glorious Rapture of saints from this earth. Whereas it will be incredibly difficult to choose Jesus during the Tribulation—on pain of deprivation and almost certain death—there will still be an opportunity for those left behind to embrace the true Messiah over the anti-Messiah. The first reference to what we call Tribulation Saints can be found in the sixth chapter of Revelation. In fact, it is actually the fifth of the seven seal judgments (in the first set of three sets of seven … seal, trumpet, and bowl judgments during the Tribulation). “When the Lamb broke the fifth seal, I saw under the altar the souls of all who had been martyred for the word of God and for being faithful in their testimony. 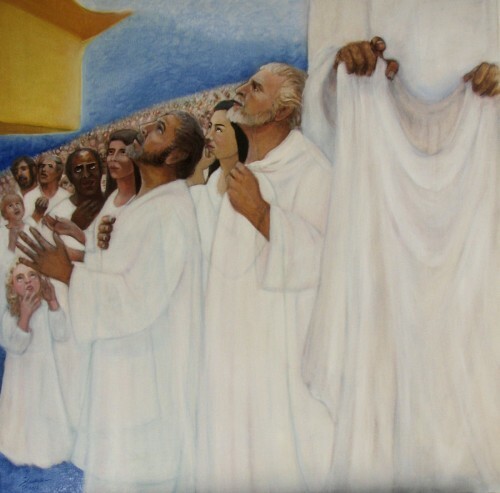 They shouted to the Lord and said, ‘O Sovereign Lord, holy and true, how long before you judge the people who belong to this world and avenge our blood for what they have done to us?’ Then a white robe was given to each of them. And they were told to rest a little longer until the full number of their brothers and sisters—their fellow servants of Jesus who were to be martyred—had joined them” (Revelation 6:9-11). For the most part, the sequence of events depicted in the Book of Revelation are chronological, with a couple of exceptions in what can be called an interlude or parenthetical interruption to show us a broader picture of all that will transpire during the Tribulation … how those interludes interface with the chronological chain of spectacular events. Such things as found in Revelation Chapters 12, 13, and 17. However, all of the twenty-one seal, trumpet, and bowl events are in sequence, including the one we just examined. With a great deal of study and correlation, I firmly believe that we can also identify the approximate time frame of all twenty-one judgments (catastrophes) within and relative to the seven year span of the Tribulation. It’s interesting, perhaps a little puzzling, that depiction of martyred post-Rapture believers (tribulation saints) would be one of the seven seals; technically it’s not a judgment per se. I believe it is in the sense (context) of the first four seals; what many people, including unbelievers, readily recognize as the Four Horsemen of the Apocalypse. By means of an initial false global peace (First Horse), then world-wide wars (Second Horse), economic collapse including wide-spread famine (Third Horse), all resulting in death of one-fourth of the world’s population (Fourth Horse), the first four seals are man-made devastations, not actual judgments from God. The tribulation saints identified in the fifth seal are victims of the Four Horsemen. The man-made carnage metaphorically shown through the Four Horsemen coupled with world-wide murder of Christians (mostly, I believe, at the hands of Muslims) is a tragic result of the first four seals broken by Jesus to permit mankind’s consummate terror and horror of evil to be unleashed. Subsequently, the Antichrist’s (Nero) government will kill many more tribulation saints … the full number of their brothers and sisters. Not until the sixth seal do we see the first of God’s direct judgments on the earth. Followed by the seventh seal and first four trumpet judgments on the earth that will result in both Christian and non-Christian casualties. We understand this because the martyred saints ask the Lord, “…how long before you judge the people who belong to the world…” The clear conclusion is that God had not yet begun to pour out his wrath on the world. 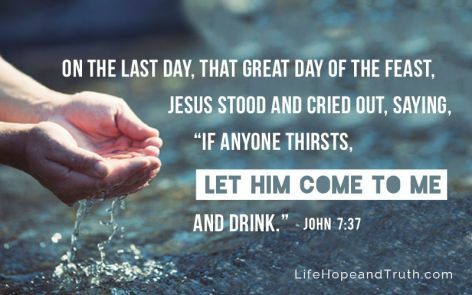 With a great deal of certainty, we can also know that all seven seal plagues and the first four trumpet judgments will take place in the first half of the tribulation (3 ½ years). How do we know this? For the following reasons: As stated in Revelation Chapter 13, full authority given by God to Satan and Satan to the Antichrist beast is for 3 ½ years … with the obvious inference based on all other end-times prophecies of the Antichrist especially Daniel 11 and Revelation 19 (when Antichrist and his armies are vanquished by Messiah Jesus upon his return to the earth) that this will be during the last half of the seven-year Tribulation. It begins when Nero will break his treaty with Israel (Daniel 9:27). When Nero initiates his reign of terror, God will also begin his own (holy) campaign of terror against Nero’s ten-kingdom confederation and against all nations and peoples who defy the Lord and who have persecuted the Tribulation Saints (including Messianic Jews), but also Israel and non-Messianic Jews. “But the people who did not die in these plagues still refused to repent of their evil deeds and turn to God … And they did not repent of their murders or their witchcraft or their sexual immorality or their thefts” (Revelation 9:20-21). The evidence is exceptionally strong in Revelation: no tribulation saints will die directly from God’s judgements on unbelievers in the fifth trumpet judgment nor (directly) from the first six bowl judgments. However, there undoubtedly will be “friendly fire” tribulation saint casualties in the sixth and seventh seal and the first four trumpet judgments, then again in the final 7th bowl catastrophe. Although the sixth and seventh trumpet judgments may also result in some “friendly fire” casualties, these last two “terror” judgements will be directed against unbelievers. In fact, the sixth trumpet entails another massive conflagration when an army of 200 million (demons) will kill one-third of the people left on the earth. Then the seventh trumpet (the third divine terror against those who belong to the world) initiates the seven bowl judgments, but also includes another earthquake and a “terrible hailstorm.” The last time that God sent such a hailstorm, only Pharaoh and the Egyptians were targeted … the Israelites weren’t touched by this plague. The most important thing to grasp is that the vast majority of Tribulation Saints (including Messianic Jews who are themselves Tribulation Saints) who perish will be murdered by unbelievers, those … “who belong to this world…” (Revelation 17:8). Whereas, “…the people who belong to this world (who) worshipped the beast…” (Revelation 13:8) will die during wars against each other and from the wrath of Almighty God when he judges the earth for the second and last time (the Great Flood being the first). Although the 143 Eye of Prophecy articles to date (posted every Saturday since this project began in July, 2013) have covered a broad array of subjects—as contained in the four main categories, Current Events, Prophecy in General, Rapture, Antichrist—for whatever reason I have not written about the one hundred forty-four thousand as found in Revelation Chapters 7 and 14. But then I realized there is a reason, which I didn’t think about until just before I began to write this week’s article. As with all Eye of Prophecy articles, one way or another each week’s title and topic and discernment and creativity come from the Lord, and are written to exalt him. As stated in the sub-title of this Web site, “…For the essence of prophecy is to give a clear witness for Jesus” (Revelation 19:10b). With regard to the audience, the articles are intended to introduce, reinforce, and clarify (also correct) prophetic Biblical, historical, and contemporary correlations or connections that many readers have known or have not known, have misunderstood, or were misinformed. You may have already figured out where I’m going with this. Today’s Eye of Prophecy article is the 144th (consecutive) post, the topic of which is 144,000 saints specifically chosen and sealed by God during the Great Tribulation. Of all end times prophecies of the Old Testament or from the book of Revelation, the 144,000 is one of the more difficult to process—in terms of why they are selected by the Lord, what they will do, and whether they are martyred or escape death during the Tribulation. But there is one thing that is crystal clear: Who they are. The more I study the passages about the 144,000, the more I’m convinced that the most important feature of or reason for the Lord telling us about them is because of who they are, not so much what they do or what is done to them. In fact, if we recognize exactly who they are, then there will be much less speculation why they are chosen, what they (might) do, and what might be done to them. “Then I saw four angels standing at the four corners of the earth, holding back the four winds so they did not blow on the earth or the sea, or even on any tree. And I saw another angel coming up from the east, carrying the seal of the living God. And he shouted to those four angels, who had been given power to harm land and sea. ‘Wait! Don’t harm the land or the sea or the trees until we have placed the seal of God on the foreheads of his servants.’ And I heard how many were marked with the seal of God—144,000 were sealed from all the tribes of Israel: from Judah 12,000 … from Benjamin 12,000” (Revelation 7:1-8). 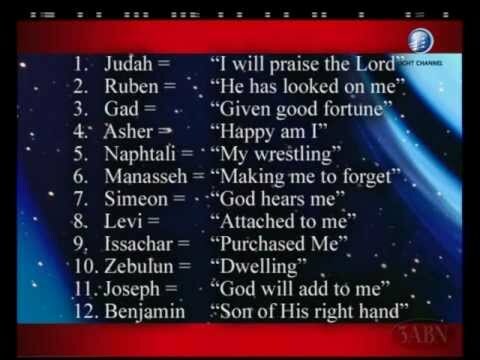 Between Judah and Benjamin, the other ten tribes are identified … each tribe with 12,000 Jews sealed (set apart for God). *Note: As an example of how we can make contextual correlations (comparing Scripture with Scripture and with history and current events when applicable), let’s pause here to make a connection. Notice that the four angels were about to do great damage (harm) to the land and sea, with a strong implication that whatever they would do to the earth and the oceans would also mean that many people will perish. They were commanded by another angel coming from the east, who carried the seal of the living God, to wait until the 144,000 were sealed. As most know, the term angel means messenger. Whenever we see angels in Scripture, they are usually (who we understand as) the majestic beings created by God. But not always. In some instances the “angel of the Lord” is none other than the pre-Incarnate Messiah. We can determine the difference by how the context describes the “angel” and what he says and does. (For more detail on the Pre-Incarnate appearances of Messiah Jesus in the Old Testament, please refer to Eye of Prophecy articles, Does God Really Have a Son? Part I & II. Posted 10-31-15 & 11-7-15). In this scene, I believe the angel from the east is, in fact, Christ Jesus. For two reasons: (1) he comes from the east, which the Bible tells us is the direction from which Messiah will come upon his glorious return to Jerusalem at the end of the Tribulation. There’s really no other reason for John to tell us that this messenger comes from the east. (2) He is the one who actually carries God’s seal. Meaning the one who has authority to convey and apply the seal of the living God; in the same vein that only Jesus is qualified to break the seven seals beginning in Chapter 6. We can make another correlation by matching the four angels in this scene (Chapter 7) to the first four (trumpet) angels of the very next chapter (Revelation 8:6-13). Why can we make this connection? Because the first four trumpet judgments describe devastation to one-third of the trees, grass, sea, springs of water, and the heavenly bodies (sun and moon) that directly affect the physical dynamics of the earth and sea. 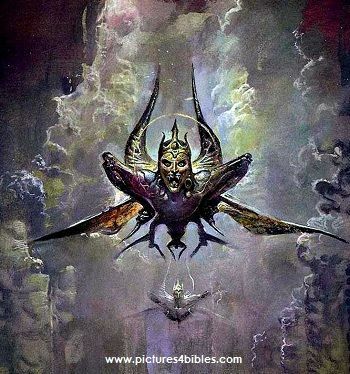 Then the last three angels (of the seven trumpets) begin the trilogy of Terror, terror, terror (Revelation 8:13…) which target unbelievers. Thus, we have two sets of angels that make up the seven trumpet judgments … one set of four and another set of three. Make sense? Personally, seeing these kind of parallels within Scripture and with history and current events makes me love God’s Word that much more. (Mormonism): This religion claims that the 144,000 will be Mormon men who have become gods. Actually all Mormons who make it through whatever level of Mormonism is required are purported to become gods, each with their own planet. Apparently, however, the 144,000 are exceptionally special gods! (Jehovah’s Witnesses): The 144,000 actually represents the very core of this cult. According to the JWs, the Kingdom of God is already on the earth and only 144,000 JWs have or will be qualified as “spiritual” members of the 144,000. (Seventh Day Adventists and Other Lesser Known Cults): Also claim in some fashion to (now) be qualified or will qualify to belong to this group. *Note: In next week’s article, we’ll read that the 144,000 were “standing on Mount Zion” with the Lamb (Messiah Jesus). As preposterous as it is for any of these cults to claim exclusive status in this God chosen group of people, for sake of argument what if they are all correct? If so, Mount Zion is going to be very crowded! Of course that is a facetious remark, but for good reason. They all can’t be the 144,000. If even two of these cults are accurate, then the count would be 288,000, right! Fact is, all of them are absurdly and pathetically wrong. Unfortunately, but at least not in any way blasphemous as are the cults, some born-again Christians, including ardent Bible students, have misunderstood and misapplied the 144,000, with the mistaken assumption that all those who become believers during the Tribulation, both Jew and Gentile, are among the 144,000. In other words, they do not subscribe to the 144,000 as being a literal number chosen by God. Nor do they necessarily recognize the indisputable evidence that the 144,000 are actual Jews. Although both Jews and Gentiles can be “spiritual” (in the sense of those who are interested in and who pursue more than just material things), there is no such thing as a spiritual or symbolic Jew. The Apostle Paul tells us that Gentile believers have been grafted into the promises given to Israel and we are, therefore, spiritual (born spiritually from above) offspring of Abraham. But that doesn’t make me as a Gentile believer, a Jew. Nor does a Jew who accepts Jesus as Messiah become a Gentile Christian. Both Gentile and Jew who believe in Jesus are (spiritually) Messianic. But they are still a Jew or still a Gentile. Neither is a symbolic Jew or a symbolic Gentile (Christian). Although I have written on the matter of Jew and Gentile in several Eye of Prophecy articles, in today’s post I will defer to a Messianic Jew by the name of David Stern, who completed an excellent translation of the entire Bible, called The Complete Jewish Bible. In his book, Messianic Judaism … A Modern Day Movement with an Ancient Past, David Stern precedes the excerpts that I will quote with an astute analysis of Romans 11:13-24, under the heading of Olive Tree Theology (pages 47-59). I would enthusiastically encourage you to read that passage in Romans 11; indeed all of Romans 9, 10, & 11. I’ll pause here to say, “Amen,” to Mr. Stern’s commentary on the insidious teaching of Replacement Theology. To also, if you haven’t, encourage you to read Eye of Prophecy articles entitled, Replacement Theology (Part I & II), posted 7-19 & 7-26-14. David Stern continues: “Thus unsaved Jews (cut-off branches), saved Jews (natural branches attached to the tree), and Gentile believers (grafted-in wild branches) each have their own kind of ongoing participation in the one Israel; and this fact needs to be taken into account in any correct theology of Israel and the Church. Not a word is said in the “olive tree” passage or anywhere else in Scripture about splitting the promises into earthly ones for the Jews and heavenly ones for the Church. “However, God has made two kinds of promises. In regard to the promise which relates to individual salvation, there is neither Jew nor Gentile (Galatians 3:28), no distinction between them (Romans 10:12), no dividing wall of hostility (Ephesians 2:14-19). On the other hand, there remain promises to national Israel, the Jewish people, in which Gentile nations corporately and Gentile believers individually have no direct share …” (all previous quotes from page 56). Another pause is in order … to quote more of the passage in Ephesians Chapter 2 referenced by David Stern. “Don’t forget that you Gentiles used to be outsiders. You were called ‘uncircumcised heathens’ by the Jews, who were proud of their circumcision, even though it affected only their bodies and not their hearts. In those days you were living apart from Christ. You were excluded from citizenship among the people of Israel, and you did not know the covenant promises God had made to them. You lived in this world without God and without hope. But now you have been united with Christ Jesus. Once you were far away from God, but now you have been brought near to him through the blood of Christ. For Christ himself has brought peace to us. He united Jews and Gentiles into one people when, in his own body on the cross, he broke down the wall of hostility that separated us … He made peace between Jews and Gentiles by creating in himself one new people” (Ephesians 2:11-15). “Native-born Israelites and foreigners are equal before the Lord and are subject to the same decrees … The same instructions and regulations will apply to you and to the foreigners living among you” (Numbers 15:16). Let’s return to Ephesians 2. “He brought this Good News of peace to you Gentiles who were far away from him, and peace to the Jews who were near. Now all of us can come to the Father through the same Holy Spirit because of what Christ has done for us. So now you Gentiles are no longer strangers and foreigners. You are citizens along with all of God’s holy people. You are members of God’s family. Together, we are his house, built on the foundation of the apostles and the prophets. And the cornerstone is Christ Jesus himself. We are carefully joined together in him, becoming a holy temple for the Lord. Through him you Gentiles are also being made part of this dwelling where God lives by his Spirit” (Ephesians 2:17-22). Do you see what’s going on here? Christ Jesus has so completely torn down the wall of separation between Jew and Gentile that the Gentiles are no longer foreigners. Not, however, as applied to the actual nation of Israel … the Jewish race. Jew and Gentile are one in Messiah, and together we are citizens (of heaven … Philippians 3:20). Both Jew and Gentile are members (adopted children) of God’s new family. Individually and together we “become” a holy temple for the Lord, where the Holy Spirit indwells both Jew and Gentile who have been redeemed by Christ Jesus, the cornerstone foundation of this spiritual house. But a Jew is still a Jew and a Gentile is still a Gentile as applied to God’s promises to the nation of Israel and to the Jewish race. Putting it another way: God’s (plan of) salvation results in one new man (and woman) in Messiah—individual Jews and Gentiles alike. God’s plan for the physical descendants of Abraham and their corporate identity as the nation of Israel is not for the Gentiles. However, Gentile nations will be richly blessed through these national promises to Israel. Once again: Concerning the Kingdom of Heaven (currently in the hearts of redeemed Jews and Gentiles), there is neither Jew nor Gentile. Regarding the physical Kingdom of God to be ushered in when Messiah Yeshua returns at the end of the Tribulation, the Jews will inherit the promises given by God to Abraham and King David through covenants with each. The Abrahamic Covenant is the right of the Jews to live and prosper in the God-given land of Israel. The Davidic Covenant is the promise that a (Jewish) King will govern them and the Gentile nations from Jerusalem. And who is that King? None other than Messiah Jesus … King of all kings, Lord of all lords! He is the Lamb of God who takes away the sins of the world! (John 1:29). He is the Lion from the Tribe of Judah! (Revelation 5:5). (Note: Regarding Gentiles who “convert” to Judaism, they, indeed qualify to be Jews, but only under the traditional system of rabbinical teachings or precedents. There is nothing in Scripture that indicates a Gentile actually becomes a Jew (spiritually or physically) simply by adhering to the Mosaic Law. Under the Covenant of the Law, God granted permission for Gentiles to observe and participate in his decrees, regulations, and ordinances given to the Jews—which obedience to and observance of would ensure that they remained in the Promised Land, but not as a means to salvation). When it comes to God’s numerous promises to Israel, not the least of which is physical restoration to the physical land of Israel accomplished by the returning physical descendants of Abraham and Isaac, these promises are exclusively for the Jewish people. Biblically this is true despite, for example, Israel’s immigration policy allowing Gentile converts to Judaism to become citizens of Israel. Though these promises are to the Jewish race, Gentile nations (the foreigners) can and will be blessed, with many of them citizens of Jerusalem and Israel during the Millennium and beyond. All born-again Jews and Gentiles are and will be citizens of heaven and the New Jerusalem, with freedom to come and go on the earth in our worship of and service to our Great God and Savior, Jesus Christ and his Father who is our Father in heaven! God’s instructions concerning the foreign Gentiles allows them to practice and follow the Mosaic decrees including Passover (see Exodus 12:48-49 … even then a Gentile male had to be circumcised to participate in the Passover). But keeping the civil and ceremonial laws handed down by the Lord does not make the Gentile a direct descendant of Abraham. Conversely, a Jew (whether by physical birth or by spiritual rebirth in Messiah) is still a Jew, and can keep—voluntarily because it’s now an option—all of the Jewish festivals or dietary laws, but not for salvation or a right standing before God. Redemption is exclusively through faith in the sacrificial system that was completely fulfilled once and for all by the substitutionary sacrificial death atonement of Messiah Jesus. Rather, the festivals are kept for the express purpose of rejoicing in the New Covenant salvation, as every single festival was a prototype or shadow of the coming Messiah and what he would do for Israel (and the whole world). Beginning with Pesach (Passover) sacrifice of the Lamb of God, whereby God will spare (pass over) born-again Pre-Rapture believers from the Great Tribulation and ultimately from the eternal penalty of our sins, which gives us the awesome privilege of everlasting life in heaven. 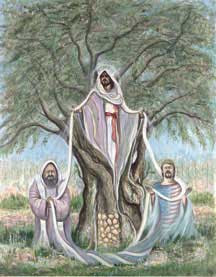 Ending with Sukkot, the Festival of Tabernacles, which is Messiah Jesus dwelling (tabernacle) with his people forever. Apparently I did get sidetracked, but not all that much! The main purpose for this in-depth examination of Jew and Gentile is to dispel beyond any doubt whatsoever that the 144,000 consist of anyone other than Jews. Click on to next week’s Part II article; we’ll look more closely at the 144,000 Jewish Tribulation Saints. Most Bible scholars and many Christians refer to the 144,000 as The One Hundred Forty-Four Thousand Witnesses. But the term witness is not used at all in Revelation concerning this group. Will they, then, be witnesses for Jesus? To answer that question and also as a prelude to next week’s article requires some conjecture, but in a very small dose. It’s what could be considered “sanctified” speculation based on the remarkable phenomenon that they will be chosen from millions of Jews and even more millions of tribulation saints who are Gentiles. The fact that they are even mentioned at all in Revelation, let alone in such dramatic fashion, makes a strong case that they will follow the Lord in the mold of God’s mighty prophets and apostles. They will serve in the same powerful pattern of Noah, Moses, Joshua, Debra, Gideon, Samuel, King David, Elijah, Elisha, Isaiah, Jeremiah, Ezekiel, Daniel, John the Baptist, Peter, John, James, and Paul … and post Biblical evangelists like Charles Spurgeon, D.L. Moody, Billy Graham, and Greg Laurie. As well as contemporary Messianic Jews like the recently departed Zola Levitt and the still alive Jonathan Bernis, David Stern, and Michael Brown. Along with the two Tribulation witnesses (Moses and Elijah), they will be the final servants of God appointed to proclaim the Gospel of Jesus Christ in the last days, a time that will immediately precede the glorious return of Messiah Jesus and usher in the Kingdom of God on earth. That time is soon, so very soon! “And the four living beings said, ‘Amen!’ And the twenty-four elders fell down and worshipped the Lamb” (Revelation 5:13-14).